April 10- Huntingdon Valley-Churchville Rotarians, family and friends enjoyed a sumptuous Chinese family style meal at the Asian Taste Inn. Rotary Rallies for Rett Syndrome Cure. Next Golf Outing September 16. 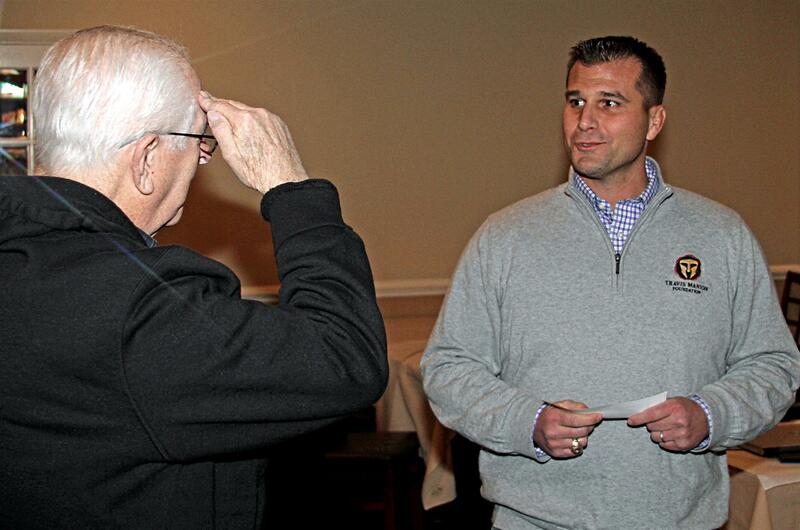 Huntingdon Valley- Churchville Rotary is committed to a cure for Rett Syndrome. Hope for a cure is real. Exciting clinical trials for gene based therapies begin this year. Rett syndrome is a rare non-inherited genetic postnatal neurological disorder that occurs almost exclusively in girls and leads to severe impairments. 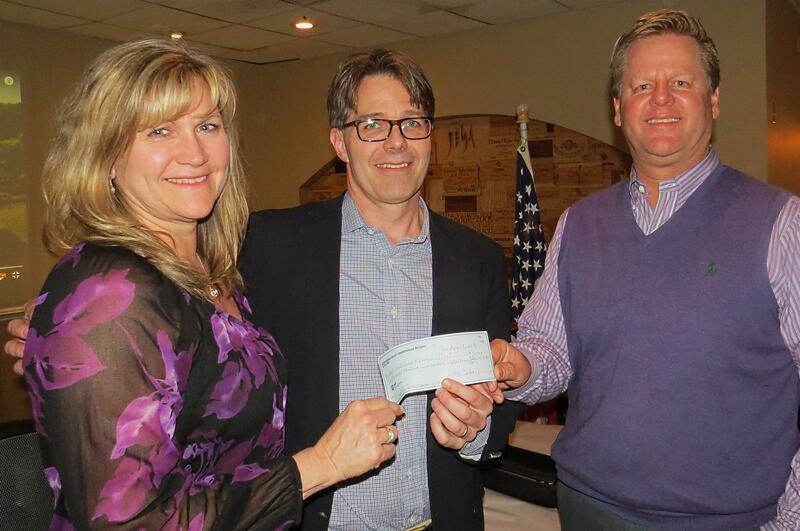 On April 4, a check for $28,464 , from our golf outing proceeds was presented to Tim Freeman, Executive Director of Rett Syndrome Research Trust . Flanking Mr. Freeman are Marianne and Mark Kozub, golf outing chairs. Our next Rett Syndrome golf outing is scheduled for Monday September 16 at Five Ponds, Warminster PA. For more information, call 215-870-0188. View the "Roadmap to a Cure Video". 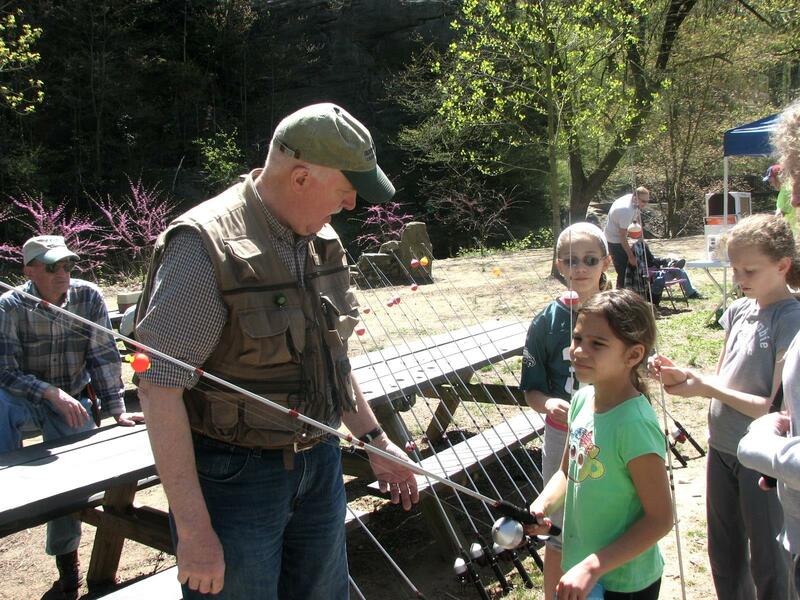 Huntingdon Valley - Churchville Rotary supports charities that benefit the environment, health, the fight against hunger and veterans causes. 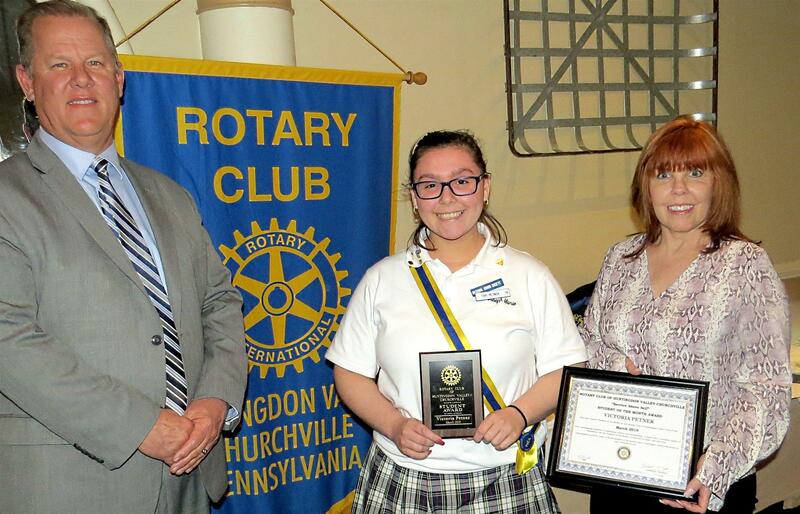 Huntingdon Valley- Churchville honored Villa Joseph Marie High School's Tori Petner. Pictured with Tori are our club's Rick Kozub and Tori's mom Kate. March 6, 2019 was a night for Huntingdon Valley - Churchville Rotary to honor those who serve proudly. 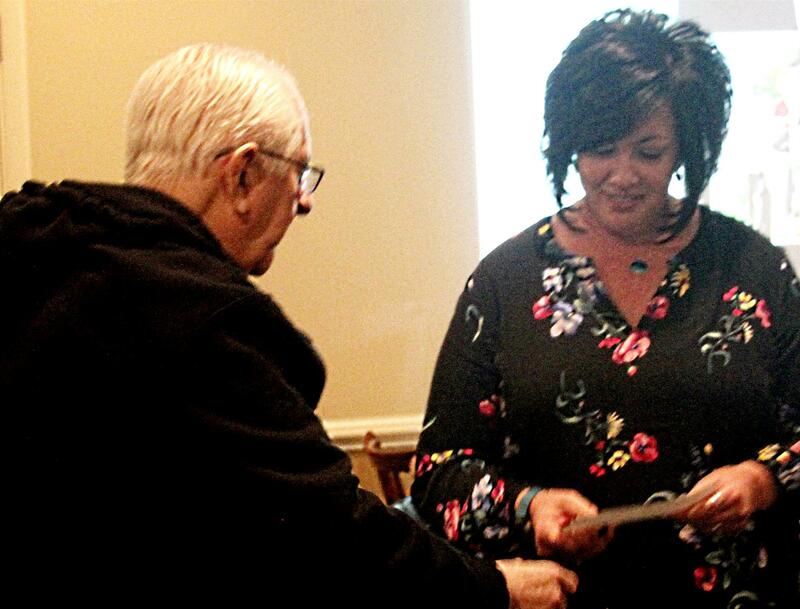 Club treasurer Larry Mantz presented donation checks to representatives of outstanding local veterans service organizations; Heather Sliwinski of Operation Ward 57 and Josh Gabin of the Travis Manion Foundation. 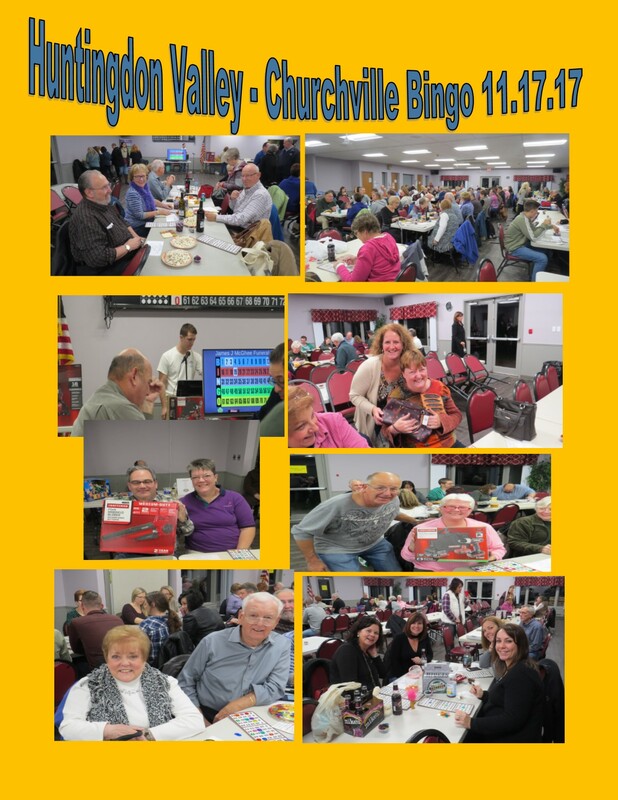 Funds were raised through our November 2018 bingo event. Honorary member Lee Adams (L) was presented a "Paul Harris Fellow" award for his years of great service by club foundation chair Ken Barber. Rotary and ShopRite Aid Area Needy! 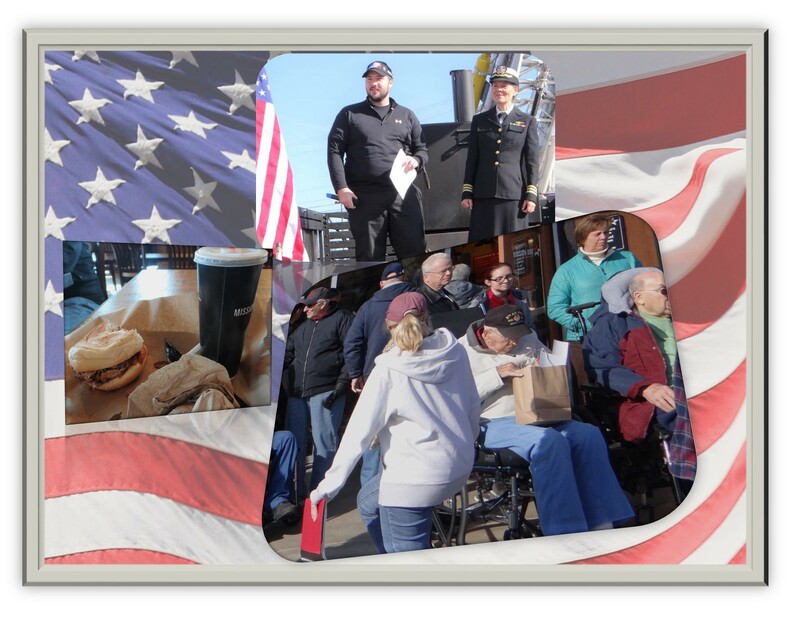 While most of us live without want, there are still hard times for many in the area. 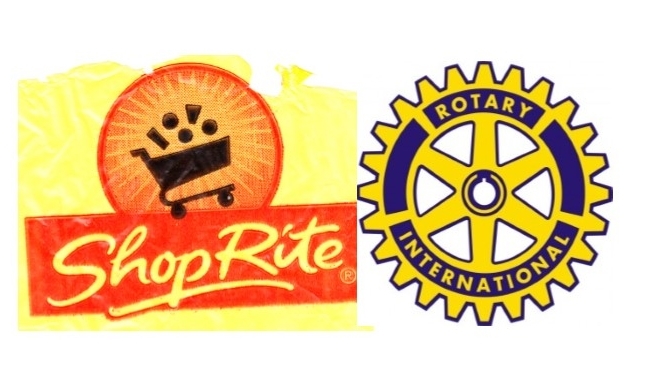 The Huntingdon Valley- Churchville Rotary is partnering with the Cowhey Family Warminster ShopRite to help fund our club's charitable projects through the "Save- A- Tape" Program. Simply label your register tape with the club's name and drop it in the collection box in front of the store. A percentage of sales will be donated to the club. The Warminster ShopRite is located at 942 W. Street Road. 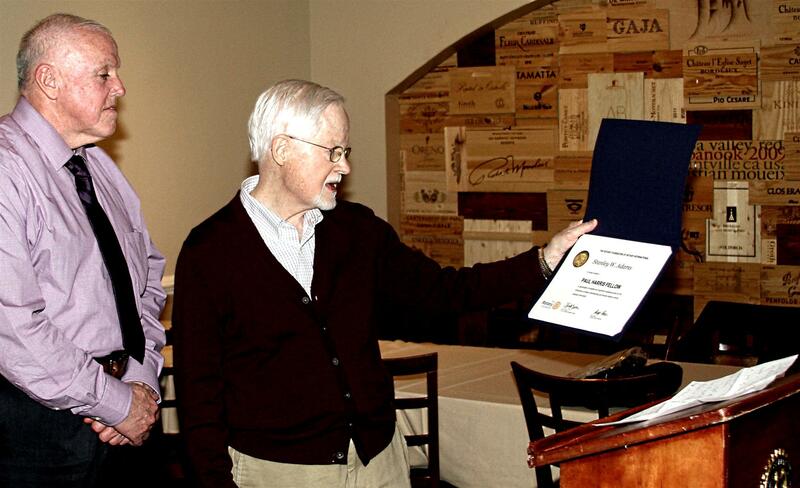 Huntingdon Valley - Churchville is one of 43 proud members of Rotary District "#7430" , serving Southeastern Pennsylvania.